The Ghazi Attack Trailer: An Epic Underwater Tale Of India-Pakistan War That We Never Knew! Bollywood director-producer Karan Johar is known for his idea of good old-school loving and for his stereotypes love stories but this time, he is coming with something very unique and a film based on true events. We are talking about “The Ghazi Attack”, India’s first war-at-sea film starring Rana Daggubati and Tapsee Pannu in lead roles. 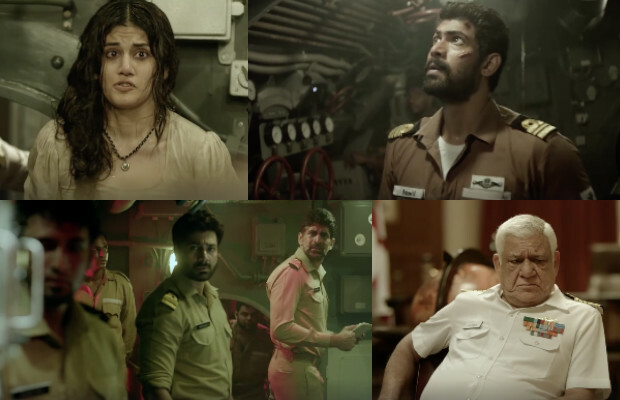 Rana will be seen playing the Navy officer and Taapsee will portray a refugee. The film also stars Kay Kay Menon and late veteran actor Om Puri in vital roles. The first much-awaited trailer of the film is out and is just giving us patriotic feeling. Some scenes chills down the spine and as based on the India-Pakistan war, this might generate enough interest among the viewers. The trailer looks promising and the level of realism shown is just amazing! The Ghazi Attack is an epic underwater tale of the immense courage and undying patriotism of the men aboard the Indian Submarine S-21 who destroyed the Pakistani submarine, PNS Ghazi when it ventured into Indian waters with the ambition of destroying INS Vikrant and conquering the Visakhapatnam port on the eastern coast of India in 1971. Karan Johar and AA Films present The Ghazi Attack, India’s first war-at-sea film. The India-Pakistan war that you did not know about. The movie stars Rana Daggubati and Taapsee Pannu. The film is all set to release on February 17, 2017.